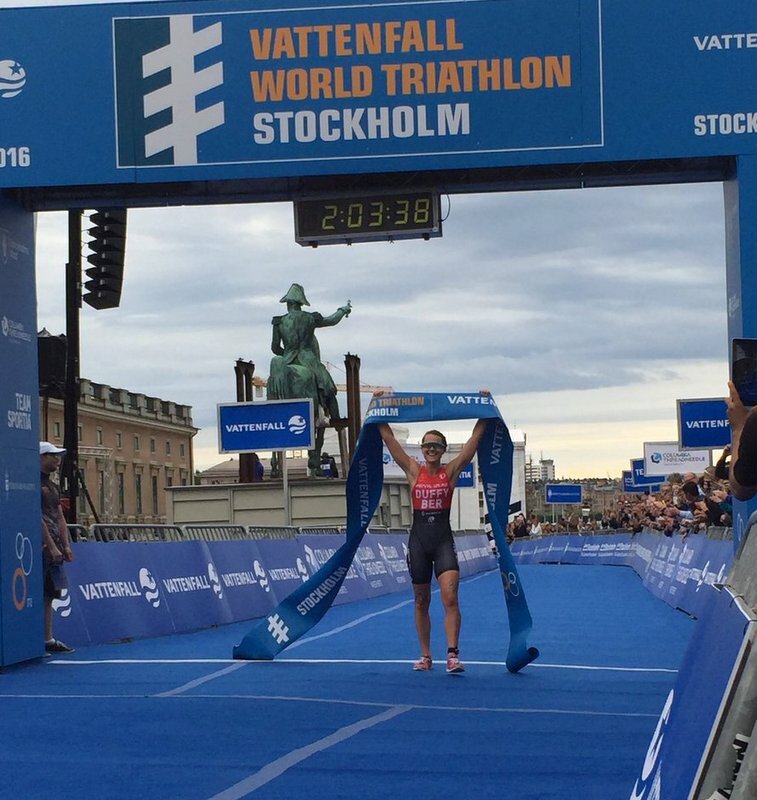 Bermuda’s Flora Duffy won the Vattenfall World Triathlon Stockholm in Sweden this weekend, with her impressive gold medal win marking her first-ever World Triathlon Series title and cementing her spot as the current leader in the Columbia Threadneedle rankings. Her win means Bermuda has become the 10th country to claim a WTC gold medal, and Duffy took the podium to collect her gold medal under the sounds of ‘Hail to Bermuda’. “I managed to ride a bit more controlled today, I have learned from Leeds. It is so much more technical here and that is my strength, so I just tried to gain as much time as I could in the technical sections and then ride smooth for any straightaways. Duffy is set to represent Bermuda in the upcoming Olympic Games, and according to Scott Sports, “Her victory comes at a crucial point in the Olympic year: Stockholm was Duffy’s last race before the big showdown in Rio. Congratulations to Duffy! As I watched the video, it touched me. I felt happy to see a bermudian represent our Island in another country. job WELL DONE Duffy! Makes me proud. Keep up the good work, dedication & determination. So happy for her! Well done Flora!! Eyes set or Rio! Congrats. Well done and well deserved. 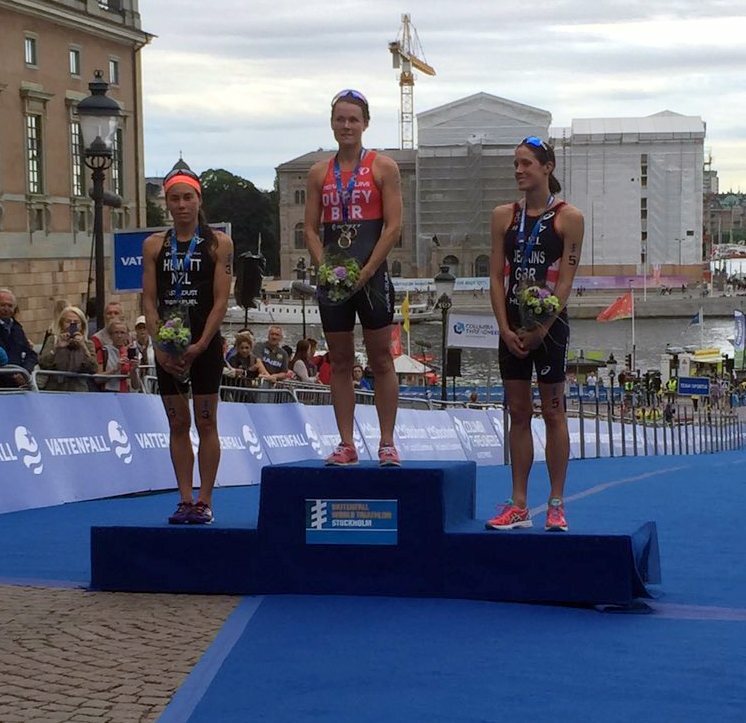 Flora is the Iceland of the Triathalon world…except she went all the way.